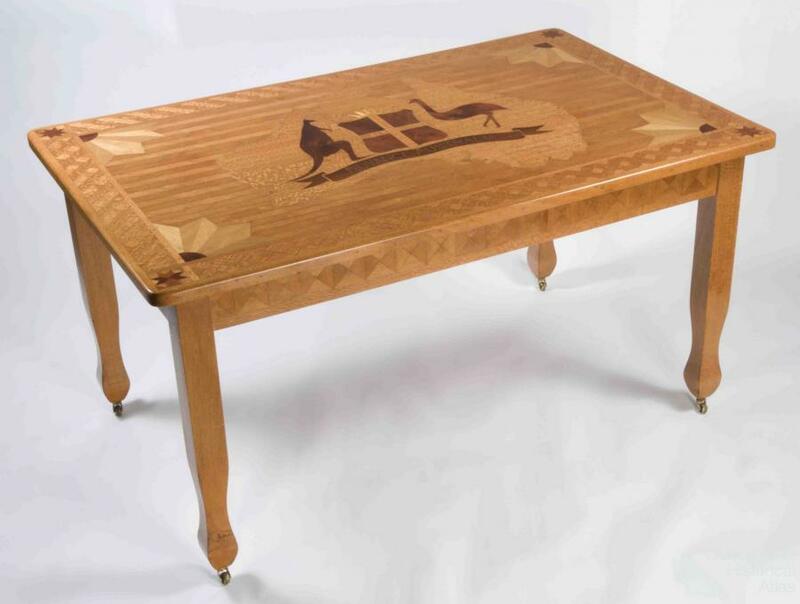 This beautiful and detailed piece of furniture was created from a diversity of Queensland timbers. It is thought to have been created for the Governor of Queensland, Sir Leslie Wilson, for use at his summer residence at Southport. Description: Large rectangular table made predominantly of silky oak inlaid with other Queensland timbers. Inlay includes the Australian Coat of Arms in the centre and a decorative border.